"If men aren't drowned," the little mermaid asked, "do they live on forever? Mermaid X takes as inspiration the classic allegorical fable of The Little Mermaid by Han Christian Anderson; in its original form a dark tale of self sacrifice in the seeking of an unattainable ideal, written as a form of love letter from Hans Christian Anderson to the one who rejected him. 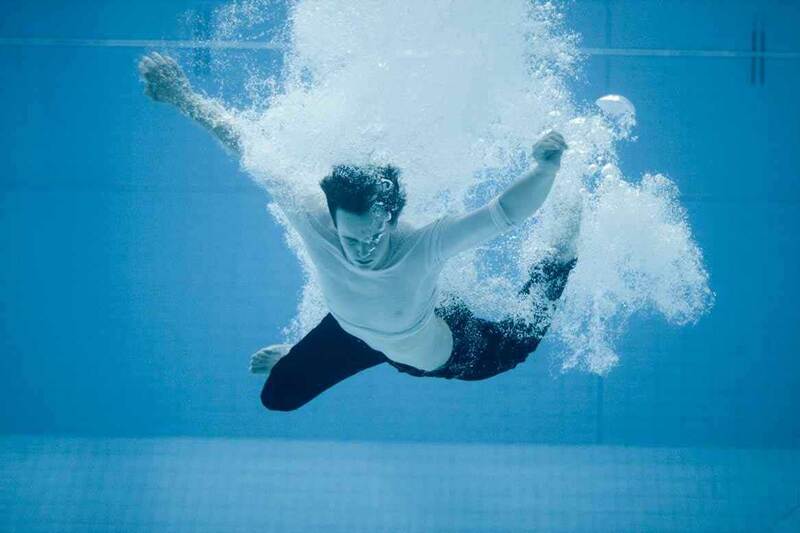 We are exploring the interplay of vision (filmed underwater),with live choreography and music. It is an exploration of the nature of obsession, unattainable love, and the heart aching search for the ideal. How otherness in Australian society is rejected consistently for what is perceived as familiar, and the resulting implications in terms of gender, sexuality, race and culture. On the boat it''s really scary, really terrifying. You know that the boat, with you in it, has a chance to capsize or send you to your death at any moment. That's how it feels. You think ,I'm going to die in the next minute. That's it. I couldn't swim. It's a wide sea. It's a boat made of wood.. I think there are probably very few great stories, and the great stories have survived because they hit a fundamental human nerve.The Little Mermaid is a classic story because there aren't many of us who, haven't pursued an ideal which is beyond our reach, and not always got what we wanted. So these stories are told for good reason. They speak to us on a very profound and human level. As a director I'm interested in how these tales talk to us about freedom and how to negotiate the responsibility of life with the needs and possibilities of being a human being. In this work we seek to explore desire, how we will bargain to get what we want, and then perhaps find out there are consequences from those kinds of deals. Over two years I spent time on and off Christmas Island making a circus work. During this time the current detention centre was completed 'a silver city' in the heart of a tropical rain forest. I wondered how on earth they would fill this enormous compound. I have watched subsequent events in this remote off shore community, including the 2010 boat tragedy with a quiet horror, and continue to question our vexed relationship with refugees and asylum seekers and more broadly our inherent fear of otherness. Only 1.6 % of the world's refugees choose to come to Australia yet here they are the focus of such an intense and fearful gaze. I want to attempt to explore this concept of unspoken fear of the 'other' through contemporary storytelling and performance, and see how we might reflect upon and re-present a response to this emotive issue.